The United Kingdom has an official Bugatti dealership, and it’s no surprise that it should fall under the reins of H.R. Owen. As a means of advertising its wares in the best way possible, the dealership has crafted a Chiron with a special body. Instead of insane colors or a crazy livery, the H.R. Owen Chiron is a bit more menacing thanks to its fully exposed black carbon fiber body panels. Founded in 1932, H.R. Owen is essentially supercar Disneyland in London. 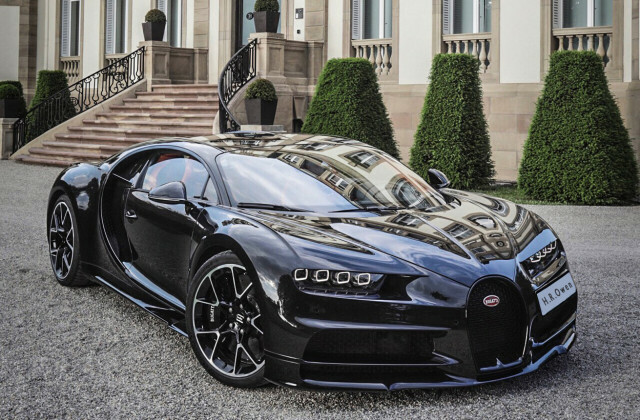 The dealer’s specialty is ultra high-end brands like Ferrari, Rolls-Royce, Bentley, Lamborghini, and now Bugatti. This isn’t some small shop, either, as H.R. Owen employs roughly 500 people and sells $400 million worth of cars on an annual basis. This specific Chiron is heading to the Salon Privé event set for August 30 to September 1 at the Blenheim Palace in the UK. It’s an event similar to the fanciest parties held during Monterey Car Week each August in California. The long weekend includes a garden party, a ladies’ day, and a pair of concours events. H.R. Owen will bring its carbon-fiber-bodied Chiron to the Chubb Insurance Concours d’Elegance held on Thursday August 30. This Chiron joins a handful of other masterful machines that have graced the showroom of H.R. Owen. In the past, the London retailer has sold Bugatti’s own record-setting Veyron Grand Sport Vitesse as well as Eric Clapton’s custom Ferrari 458 Italia V-12. A carbon-fiber-bodied Chiron is just a bit angrier on the ultimate horsepower food chain than those two machines. The eventual lucky owner of this Chiron will have a car capable of rocketing from 0-62 mph in less than 2.5 seconds. If the owner wants to see what 186 mph feels like, he or whe will need just 13.6 seconds to get there. We’d imagine that in the Chiron, 186 mph feels like a casual stroll down your favorite motorway, especially when you consider that the top speed sits almost another 100 mph further up the speedometer. The Chiron is a true engineering marvel. And this one looks amazing with its carbon fiber bits laid bare to the world.